Why aren't the Daily Mail shrieking "Stalinism" at Theresa May's 'new' housing policy? In a pathetic attempt to appeal to the youth vote her party has spent the last eight years crapping all over, Theresa May is once again pretending to give a damn about the housing crisis. It's not just that since 2010 the Tories have overseen the lowest levels of house building since the early 1920s and imposed the worst sustained collapse in the value of workers wages since records began that makes this pathetic begging for votes so grotesque. 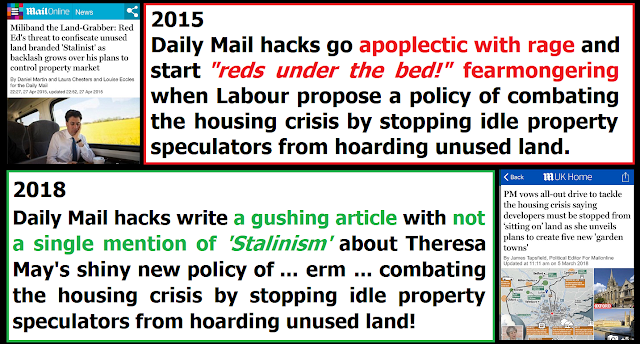 It's that yet another of her headline policies has been crudely ripped off from Ed Miliband's Labour Party. When Miliband proposed new legislation to combat idle property speculators who hoard unused land in 2015 the Tories and their attack dogs in the mainstream media went apoplectic with rage over it. Yet just three years later they're not shrieking "Stalinism" anymore, because Miliband's policy of punishing landbankers is now official Tory party policy. Nowhere is this hypocrisy better illustrated than in the pages of the Daily Mail. Oh how they raged against the policy when Labour suggested it, yet within three years they're presenting the exact same policy from the Tories as if they've just copied their analysis of it directly from a government press release. 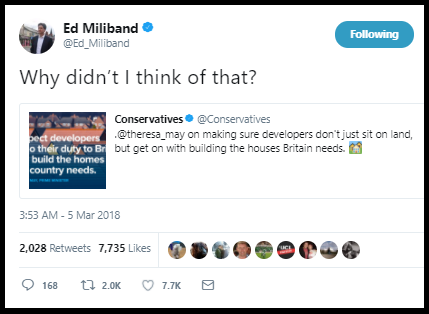 People with political memories that last longer than a few months will remember the exact same hypocrisy from the Tories and their propagandists in the mainstream media when Theresa May nicked Ed Miliband's policy of capping energy prices too. 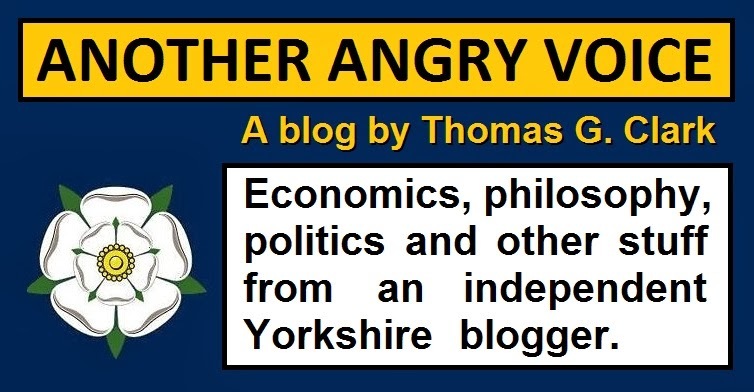 The Tories are a bunch of outrageous political opportunists who will resort to absurd "reds under the bed!" fearmongering at the drop of a hat over Labour policies, but then nick the exact same policies they were deriding and fearmongering about and brazenly to pretend that they're their own. And the Daily Mail is nothing but a propaganda rag for the Tory party that is staffed by mercenary hacks who view their readers with absolute contempt. But seriously, what else would you expect from the most dishonest propaganda rag in the UK?